Cosmetic dentistry options can completely transform the appearance of your smile, helping you feel more confident about the way you look. General and restorative procedures available here at Beautiful Smiles work to maintain the health and function of your teeth and gums, while cosmetic treatments focus on keeping your teeth looking fresh, vibrant, and beautiful. Dr. Harold Pollack is an experienced cosmetic dentist who is known for creating impeccable results and renewed, winning smiles. He offers a variety of customized aesthetic dental care options that can address your concerns with natural-looking outcomes! Porcelain veneers are some of the most innovative, long-lasting solutions to common dental imperfections available. These treatments can successfully mask a range of cosmetic concerns, including chips, spaces between the teeth, deep stains, and even some cases of teeth misalignment/crooked teeth. Composed of durable shells that are custom-designed to fit over the visible parts of the affected teeth, porcelain veneers can be virtually indistinguishable from your original teeth while completely masking any imperfections. Would you like to whiten your teeth for a brighter, more refreshed-looking smile? Our practice offers both in-office ZOOM!® teeth whitening and take-home custom whitening trays and gel that can reduce the appearance of stains and discoloration of the teeth. Professional teeth whitening procedures offer numerous benefits and can serve as a more effective alternative when compared to over-the-counter teeth whitening options. Our whitening treatments can help you lighten the appearance of your teeth by several shades and give you brand new reasons to smile. Dental bonding is a tried-and-true procedure that has served as an effective cosmetic dentistry option for decades. This treatment can provide a quick solution for teeth affected by chips, cracks, gaps, and stains. Cosmetic dental bonding involves the placement of a durable resin on the affected tooth that is then carefully shaped for the most natural results possible. The procedure can typically be completed in just one office visit, and the results could last for very long periods of time with the proper care. 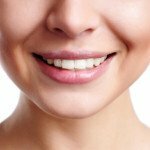 Learn more about cosmetic dental bonding. In some cases, a tooth may be so badly damaged, decayed, or aesthetically compromised that it needs some strong reinforcement and a healthier new look. Porcelain dental crowns can accomplish these goals with terrific results. A dental crown is custom-designed to fit over the entire tooth, improving its structure and yielding results that can look and feel like a natural tooth. By taking good care of your teeth and maintaining a regular dental check-up schedule, you can experience the positive effects of all-porcelain dental crowns for many years to come. Learn more about all-porcelain dental crowns. Inlays and onlays are also designed to provide damaged teeth with strength and durability. These options are typically utilized when the tooth structure is too compromised by decay or damage to benefit from a filling, but not compromised enough to require a dental crown. Onlays cover and structurally support a damaged tooth. Inlays are inserted within the teeth as standing supports. Our dental team will talk with you about your options and help you determine the best treatment for your needs. Are you considering treatment to address a number of aesthetic concerns and completely renew your smile? If so, a full Smile Makeover may be the ideal procedure to help you achieve your goals. Smile Makeovers involve a combination of advanced treatments that can provide comprehensive cosmetic rejuvenation. With a customized treatment plan that includes a selection of options such as porcelain veneers, teeth whitening, dental implants, or others, our dentist can correct the appearance of chips, gaps, stains, discoloration, missing teeth, and other common concerns. The potential result? A beautiful new smile that you’ll be excited to show off! Learn more about Smile Makeover procedures. For more information on our cosmetic dentistry treatment options, or if you would like to schedule a consultation here at Beautiful Smiles, please contact our office today.